Bryan is a left hand attacking player, still playing Premier 1 interclub table tennis at the age of 62. In his younger days he played representative rugby for 4 provinces over 21 years (1968-1989): South Canterbury, Canterbury, Wairarapa-Bush and Horowhenua. Bryan started off as an open side flanker and ending up as a tight head prop. One of his highlights was playing wing and marking the great All Black, Bryan Williams, when Wairarapa-Bush played the All Blacks during the 1972 internal tour. Bryan and his son Phillip have always played interclub together and have won several Men’s Open Doubles titles. The Wairarapa, Manawatu and Hawke’s Bay Men’s Doubles, and the North Island Men’s B Grade (twice) and Over 30 title. In 1998 Bryan partnered by Joan Munn (Victoria, Australia) upset the 3rd, 2nd and 1st seeds to win the New Zealand Veterans Over 40 Mixed Doubles. He has won 9 individual veterans titles at the New Zealand Open. This included the Over 55 Men’s Single (2006). 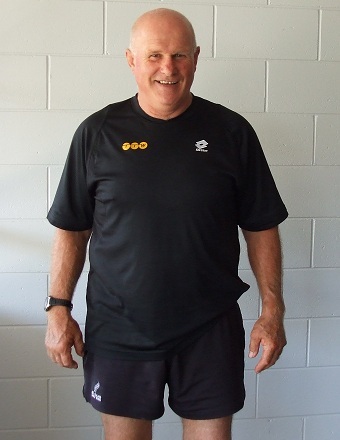 Bryan has represented New Zealand in the veterans test against Australia.